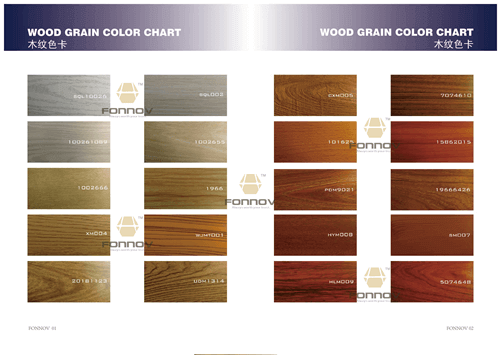 FONNOV ALUMINIUM has produced more than 1000 kinds of wood grain colors, you can click Wood Grain Colors from FONNOV ALUMINIUM to see this VIDEO on some wood textures. 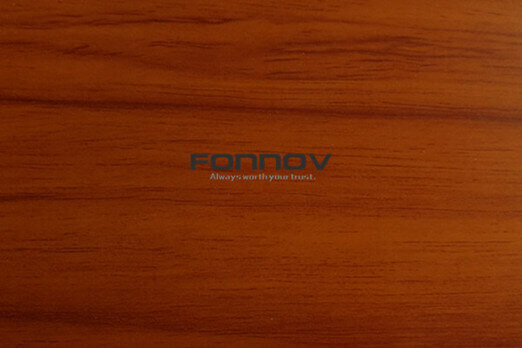 You also can contact us at marketing@fonnov.com.cn for your custom wood colors. Except smooth texture, FONNOV ALUMINIUM produce wood grain finish aluminium with smooth texture, sand texture and 3D texture. Due to different screen settings, the picture and the real sample panel will have a slight color difference. Click Wood Finish Aluminum – Sublimation Process to see the VIDEO by FONNOV ALUMINIUM to help you understand well of how to make wood grain on aluminium.